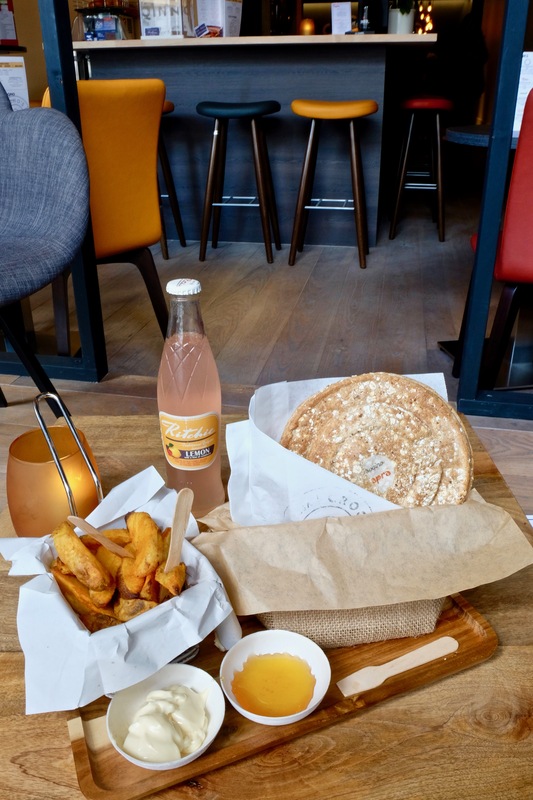 A new ‘fast-casual’ restaurant has opened on the beautiful and breezy street facing the Leie. 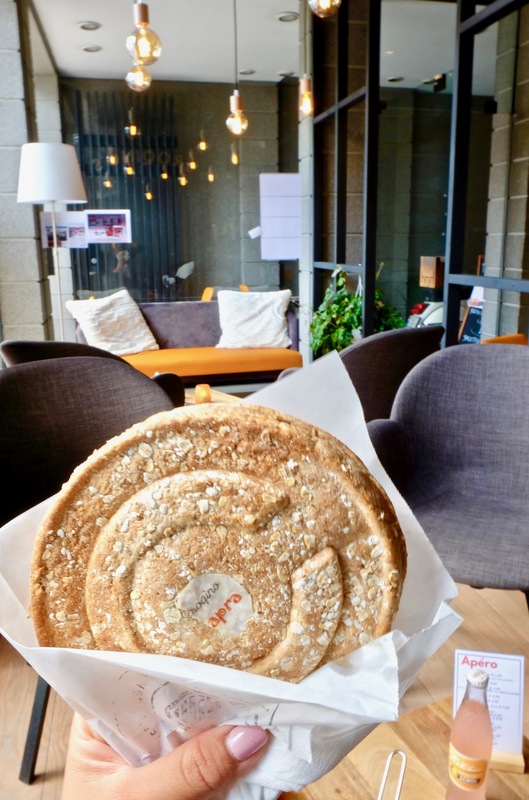 The idea for Croqino’s was born over a year and a half ago, but years before diving into the restaurant business, Els de Weyn and her husband Rik always knew they wanted to open something in Ghent. The open and alternative food atmosphere of Ghent persuaded Els to leave her career as a professional photographer behind and take the next delicious step. Their first foray into the restaurant business started three years ago at the coast in Oostend. It was a year and a half ago that the idea for a Croqino came to life; something between a panini and a Croque Monsieur, It’s a delightfully quirky hot sandwich that isn’t really a sandwich at all. It’s completely closed and pressed into the shape of a round ‘C’. The best part of this round warm meal is the fillings. The thing that makes the Croqino so special? The bread is a mix of whole and spelt (an ancient grain) which adds a more wholesome, balanced flavor to the overall taste. The bread is 100% homemade and honestly, it makes such a big difference. I tried the Capra Croqino, with potato wedges seasoned just right, and drank a refreshing Ritchie lemonade (made in Belgium) to wash everything down. There are almost 20 savory specialties of Croqinos to choose from! Classic combinations like Croque Monsieur, Eggs & Bacon, Bolognese, Ceasar (the most popular in Ghent) are big hits so far. There are even lactose-free offerings. For the more adventurous eaters, you can order unique combinations like Capra, BBQ, and Bicky Style. Have a sweet tooth? Croqino’s come sweet, too! The 4 sweet Croqinos are Nutella & M&Ms, Speculoos, Pastry Cream, and Nutella Hazelnut. The location makes it perfect to sit outside and people watch while the city goes by. For after-work apero and on the weekends, try and order cocktails and snack on their special tapas that also come in true Croqino fashion: fillings like edamame, tapenade, truffle. Els and her husband wanted a place where people could feel welcome to sit, relax, socialize, and of course, eat! 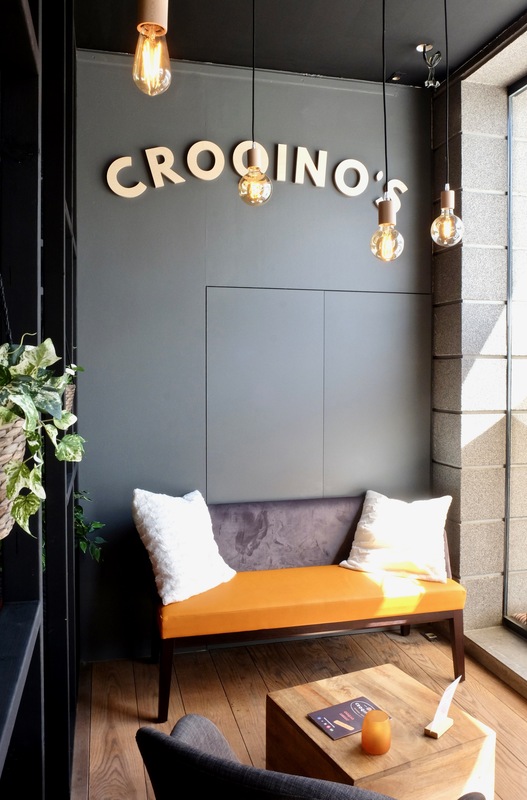 That’s exactly what Croqino is: an informal, stylish and delicious spot to hang out, grab a croqino and enjoy!